I sure hope you’re not sick of nursery post. I have a super quick tutorial for you- I mean FAST! 1. 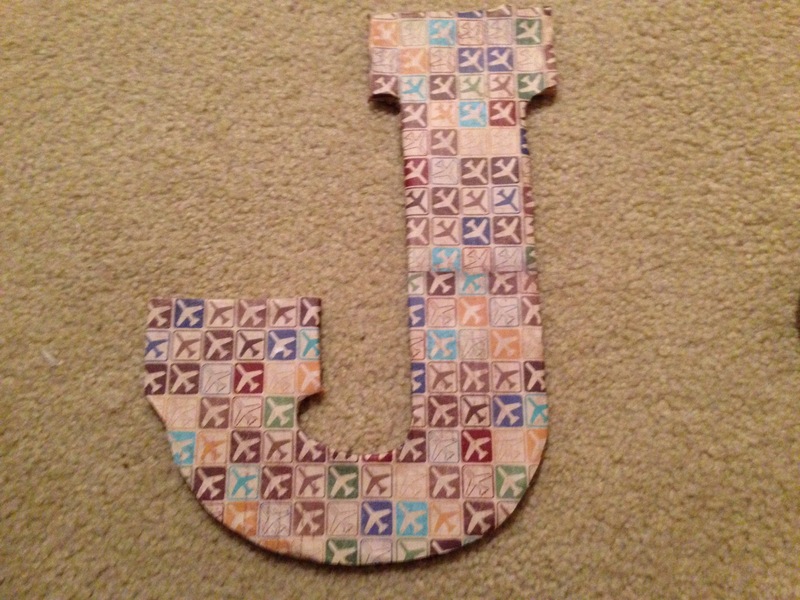 Go to local craft store and purchase wooden letter of choice and themed scrapbook paper (unless you already have this). I got the larger flatter letter that was not painted. 2. 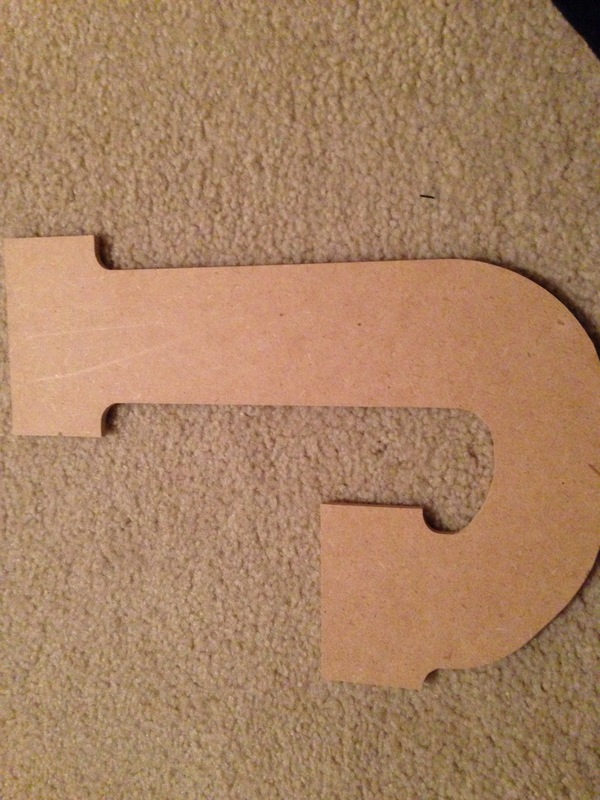 Align scrap book paper and either Modge Podge or hot glue it to the letter. 3. Cut off the edges using an exacto knife or scissors with skilled hands. That’s it. I told ya it was quick…and inexpensive too. 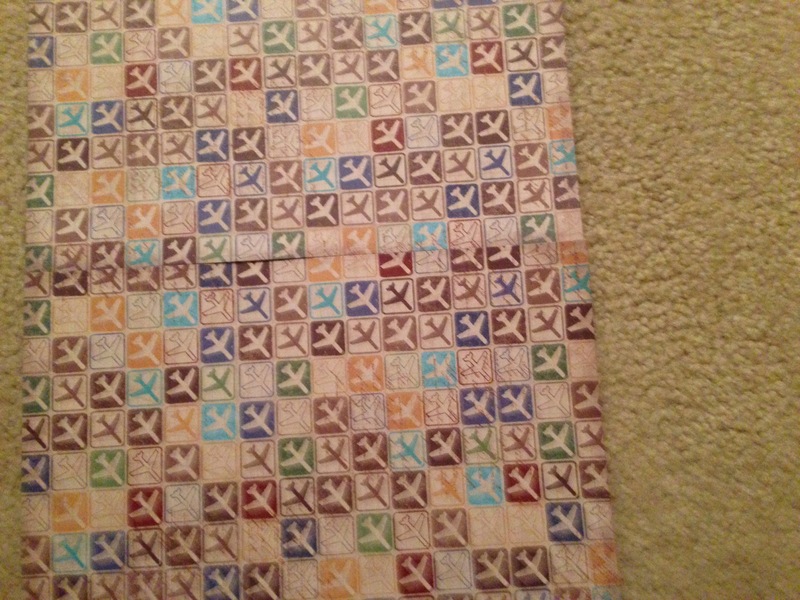 The letter was $3.49+30% off and the scrap book paper was $.44/sheet. More for the Nursery…Watch him grow! So I’m back with another inexpensive and quick nursery decor tutorial. Let me start with saying this: I was not going to make this item. I was going to buy it, whatever the cost. My reason: I’m not that great at math. Well, I was wrong (about the making it part, not so much the math…). So, my baby boy and all out future children need a growth chart right? I mean, marking ticks in a wall simply won’t do! So, I searched high and low for a growth chart that went well with our home decor and $50-$80 later, I decided to just see if there was a tutorial that would cost less and easy enough for me to complete and I found this. Amazing right? So, I went to Home Depot bought a fence slat. Instead of painting it, I stained it to go with out home decor a little better. Note: Stain takes longer to dry than paint. While the stain I was drying, I cute out the numbers (1-6) with my cricut. 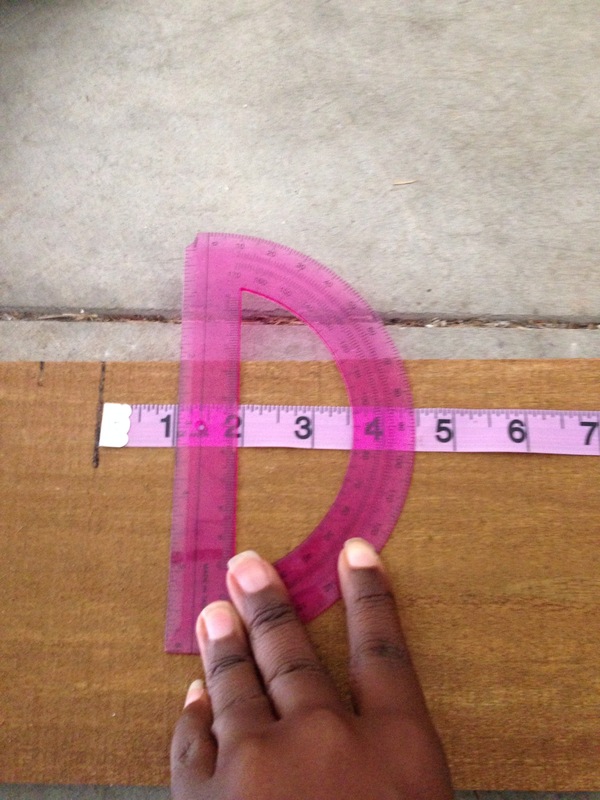 After everything was cut and dry (literally), I got out my tape measure, pencil and protractor. I took it one foot at a time and measured each inch, making the 1/2 foot mark (6 inches) longer that the other inch marks, and made each foot measurement longer than the half-foot. Then I painting the lines in grey, added the numbers and viola! 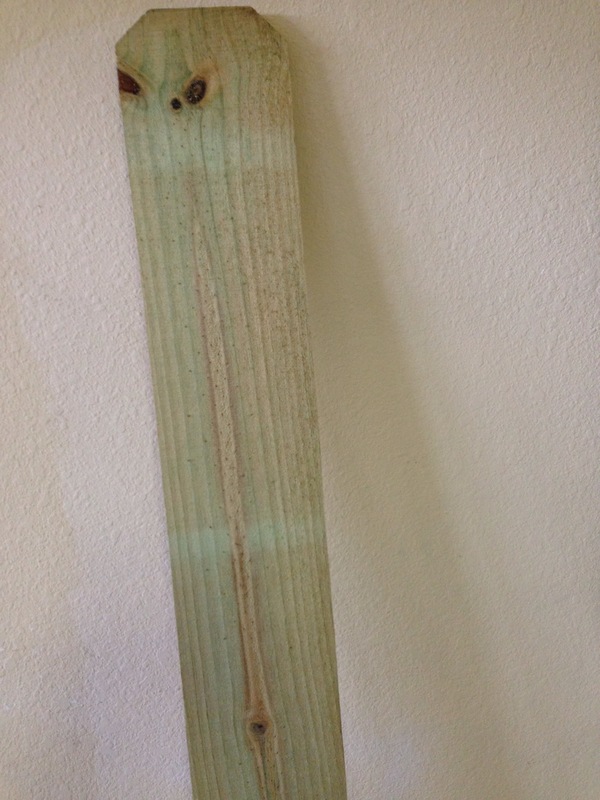 I a growth chart for little time, effort and totaling $1.71. Cant beat that if you tried! So, I have quite a few friends that are expecting as well and I get asked a bunch of questions so I thought I would share some thoughts. This post is how not spend a bizarre amount of money on a nursery. 1. Make a List- If you don’t remember one thing about me, remember I. Love. List. They keep you focused and organized. This list should include your need/must have furniture items, decor needs and maybe some wants at the end. I suggest registering for these items but big furniture is something you normally don’t get as a gift. 2. Make a budget- Have an idea of what you want to spend per item, and thus a total for the nursery. This will help you shop deals, use coupons and focus on your needs. -all used items are not created equally so inspect and bargain. -compare prices. If the used item your looking is the same price as a new one, it’s not worth it. 4. What you can’t buy used, by smart- The furniture items we needed and couldn’t find used we purchased from Ikea. The items from Ikea were cheaper than target and Amazon and gave us more for our buck. 5. Make what you can- Curtains, chairs, design items, etc. There are thousands of super easy tutorials out there for any skill level and if you can’t someone you know can or knows someone who can, so use your networks. All if these tips can be applied to all baby items. We’ve so incredibly blessed and fortunate. We have spent very little of of our own money on baby items because we shopped smart, stayed organized, stayed on budget, bought used and graciously accepted hand-me-downs. Join some mom-groups and get the skinny on consignment sales! So with just 12 very short weeks before my baby boy is set to arrive, I’ve been busy making our home ready to welcome him. 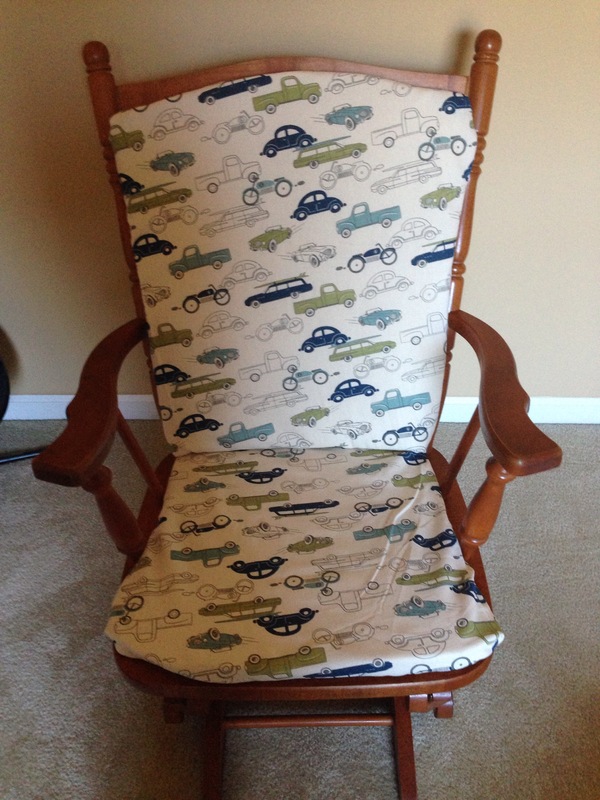 I started with recovering a glider rocking chair and ottoman that was gifted to us. Note: I’m picky…more so than I thought. I couldn’t find a chair I really liked that went with my vision for the nursery so, as always, making one, or making as much as I could of one, was the way to go. I started by visiting my local craft store and picking up a roll of foam padding and fabric. 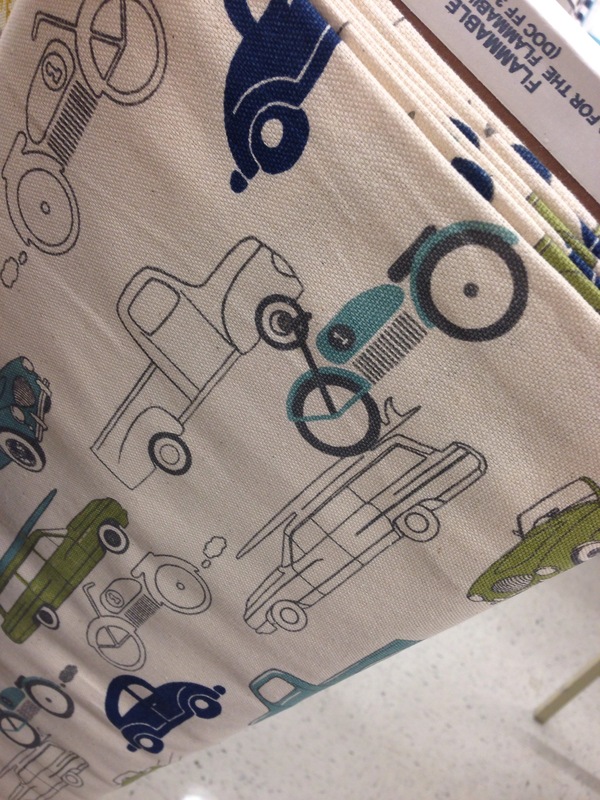 Our nursery theme is travel and I couldn’t resist the colors and simplicity of this fabric. It helped that my husband loved it too. 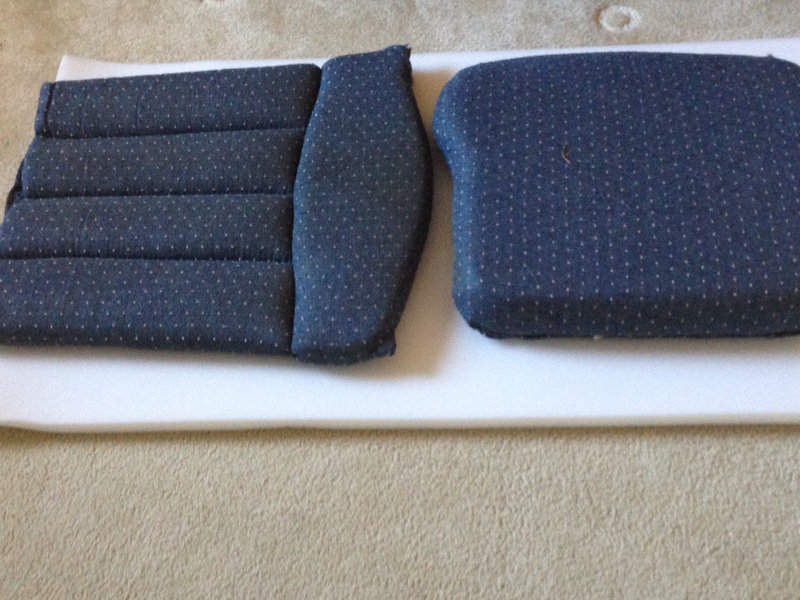 The I traced the old cushions on the foam with a sharpie and cut along the lines. After that, I covered the foam pieces with the fabric, wrong side out. I didn’t cut along the fold. 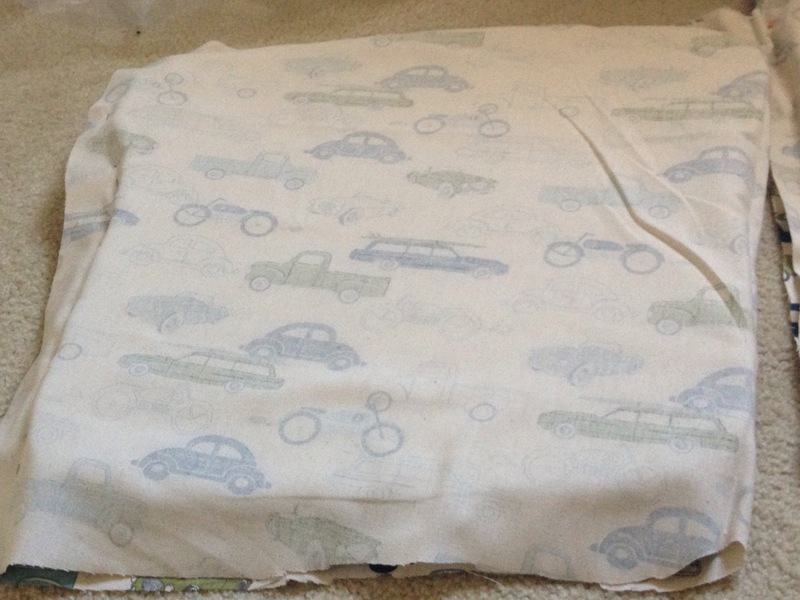 Instead I used it to my advantage- that’s one side without pinning or sewing. However, depending on the size of your cushions, that may not be feasible. Until next time, like, comment and share!